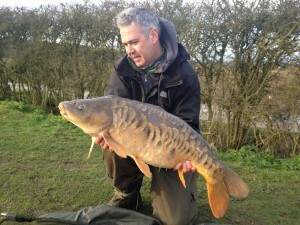 Scott said “I had this 24 and a 27 on a Saturday over night session – happy days and the bait is working! Glad to be back…”. By the way there are only 3 Howells night permits left so if you are thinking of renewing your ticket please move fast as these will be sold on a first come first serve basis.